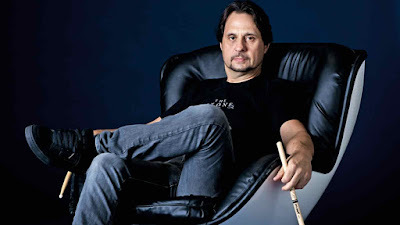 MetalRockNews: Dave Lombardo about his career: "I never thought I was going to reach the status that I reached today"
Dave Lombardo about his career: "I never thought I was going to reach the status that I reached today"
Former Slayer and current Philm drummer Dave Lombardo was recently interviewed, you can read some excerpts below. About whether he always knew that he was going to be a professional drummer: "I didn't know. I mean, I was… I had the passion in me, and I had the drive. Did I know I was gonna succeed the way I did? No. I never thought I was going to reach the status that I reached today. So it was quite a surprise because my parents, obviously, were telling me at a young age, 'Look, Dave, you need to focus on a career instead of music. That's not gonna put food on the table.' And so, with that advice, I think I was just even more determined to succeed. I was basically told, 'You'd better find another career and another job.'" About what else he could have done for a career had he not become a successful drummer: "Right out of high school… 'Cause I graduated high school… and… not majored, but my vocational training was technical drafting… You know, design — technical design, technical drafting. And I, immediately, right after high school, I got a job at a diesel… It was called diesel energy systems company, and I would design enclosures for generator sets for hospitals or the department of water and power and various other companies. So I would create these enclosures for these generator sets. So I might have taken a career in engineering at that time." About whether living in a Cuban household influenced his drumming style: "Absolutely. Cuban music has a lot of percussion in it, and having that in your culture, and it being part of, you know… very big part of the culture, you can't deny it. You can't resist enjoying music that has drums in it. Although I like all kinds of music — all other styles of music that don't even have drums — but, for the most part, music that has drums, I really enjoy." About whether he ever had a moment when he was a kid when he realized he was a lot better on the drums than everybody else: "In fourth grade, I realized that I was a lot faster than other drummers — I was faster at drum rolls. I was faster when I was in a marching band in fourth grade. The cadences… I would learn them and play them at the tempo that the teacher would ask me, but then, after getting comfortable with it, I would speed up and play it as fast as… probably as humanly possible. So, yeah, I kind of realized that at an early age."